Originally from Seoul, South Korea I came to Colorado Springs in 1995 with my Military husband and have made Colorado Springs my home since that time. Our travels with the military took us to multiple locations throughout the world but there is no place like home. Colorado is the by far the most beautiful place on earth! 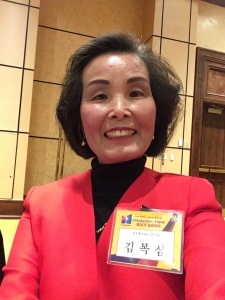 I enjoy spending my time volunteering for the “Southern Colorado Korean American Associates” group. We offer support to American/Korean war veterans who served in the Korean war, the forgotten war. Each July we have a ceremony for the veterans of the Korean war and help provide for their needs. I became a licensed Realtor in 2004 and have served buyers and sellers from all walks of life. I am able to carefully listen and follow the needs of my clients. I can offer skilled advice to my clients and help guide the transaction all the way to closing. I look forward to working with you!